Thank you for making the purchase of my new truck so easy. Matt made us feel like we were taking a family member for a few rides till we figured out what we were going to do. He was knowledgeable, professional, happy and easy going. I never felt pressure to buy anything. The whole team was awesome, got it done very easily. I strongly recommend this dealership it's a bit out of the way for me but I am so happy we took a chance and checked it out. ThAnks Guys, I love my Truck! Matt Oriani has been great to work with, very patient and an overall fun person to deal with. Very pleased with my recent purchase and would be happy to work with him anytime. I had a great experience buying a new Wrangler this past week. Karyn was excellent! 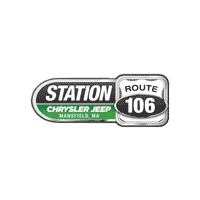 I just purchased a Jeep Grand Cherokee from Matt at Station Jeep. I had been looking for a long time. I dragged my husband all over the states of Massachusetts and Connecticut trying to find the vehicle that was just right for me at the right price. I've been to a ton of dealerships and met multiple sales people at each. I have to say that Matt was one of the best to work with. I strongly recommend you ask for him when you go in. The team over there definitely goes above and beyond to make sure you are completely satisfied!